Is there a better alternative to EANEncoder? Is EANEncoder really the best app in Illustration category? Will EANEncoder work good on macOS 10.13.4? 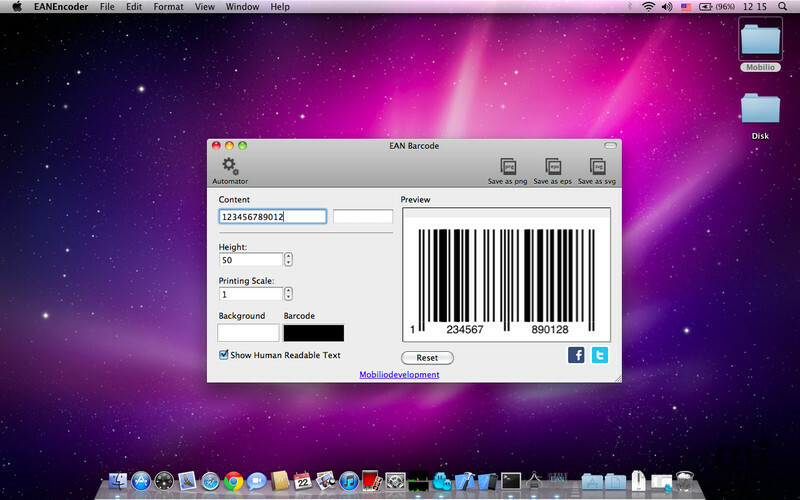 EANEncoder is a software that generates 100% applicable EAN codes. EAN barcode, standing for European Article Number, is an international barcode symbology mainly used in the commercial sector for product identification. Just like the UPC, EAN has been approved by GS1 to be used at the retail point of sell of products. The only difference between them is that UPC is mainly adopted in the USA and EAN - almost everywhere else. EANEncoder needs a review. Be the first to review this app and get the discussion started! EANEncoder needs a rating. Be the first to rate this app and get the discussion started! EANEncoder is really beneficial application that can offer you only great functionality,alleviation and satisfaction. Check it out right now. EANEncoder is available on the Apple App Store.